With the extreme weather we have been having over the past few years, people start to wonder if global warming is more of an issue than they thought. It seems global warming is the reason behind these weather changes and too many times people have dismissed this even in the shipping industry. Unfortunately it is areas like the shipping industry that can make the most impact on the environment. Not only are there multiple layers of transportation from ships and trucks to rails, but the worldwide nature of the industry makes its impact more extreme. Greenhouse gases have more recently become a big issue for researchers and the shipping companies. 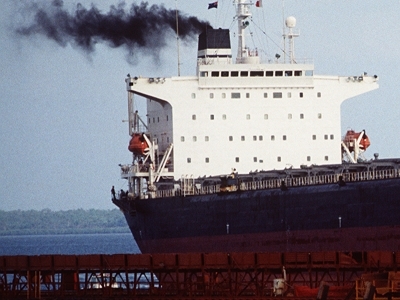 Millions of tons of carbon dioxide are emitted from cargo ships every year. Ships seem to be the last of the means of transportation to get on board with saving the environment. The major shipping companies such as Maersk and CMA-CGM have been moving towards a more efficient ship that will lower these gases but this has been slow going compared to other industries. Technology is finally beginning to present itself to allow for these ships to be more prevalent. The problem is that not every shipping company is buying new ships every year and many of the older ships are not compliant with today’s standards. In light of the more recent research, the international standards for ships are going to be leaning closer to the environment and ship owners will be responsible to keeping up. We as customers need to keep an eye on how we are shipping internationally as well. After all, if everyone does their part, we can slow the affects of global warming and move to a cleaner and healthier environment for generations to come.